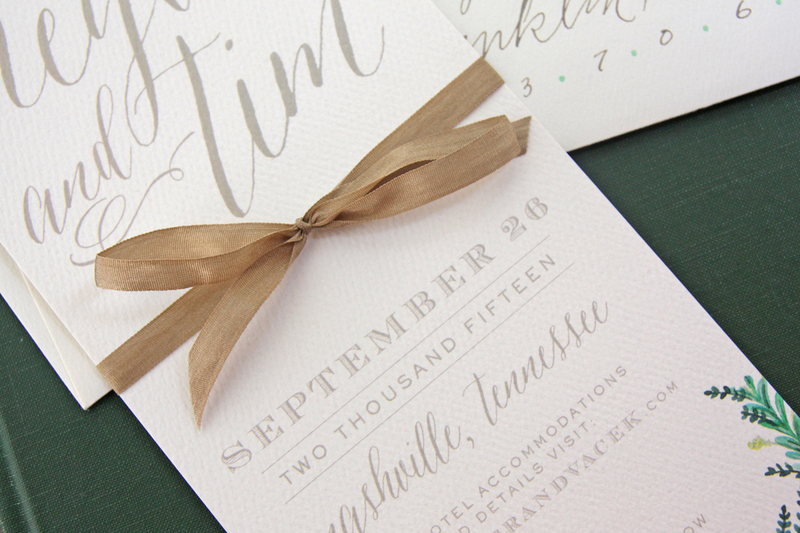 We created this "traditional w/ a twist" invitation for a Nashville bride and it was such a treat. The save the date was digitally printed and incorporated some of the greenery that would decorate the reception tent. 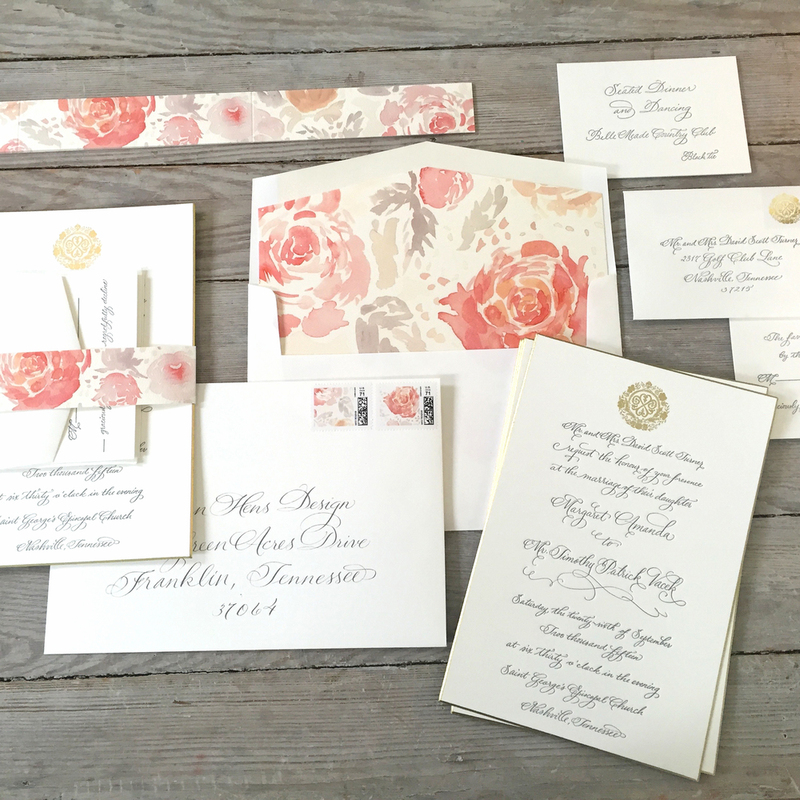 Then for the invitation suite we switched gears a bit and went for a really soft, elegant feel with blush tones and some fancy gold accents. The client wanted a traditional layout, but with some punches of color to make it feel really special. We created a watercolor pattern for the envelope liner and carried it to the belly band and postage. The crest design was also something we drew and it was an elegant detail that carried through to menus and napkins. 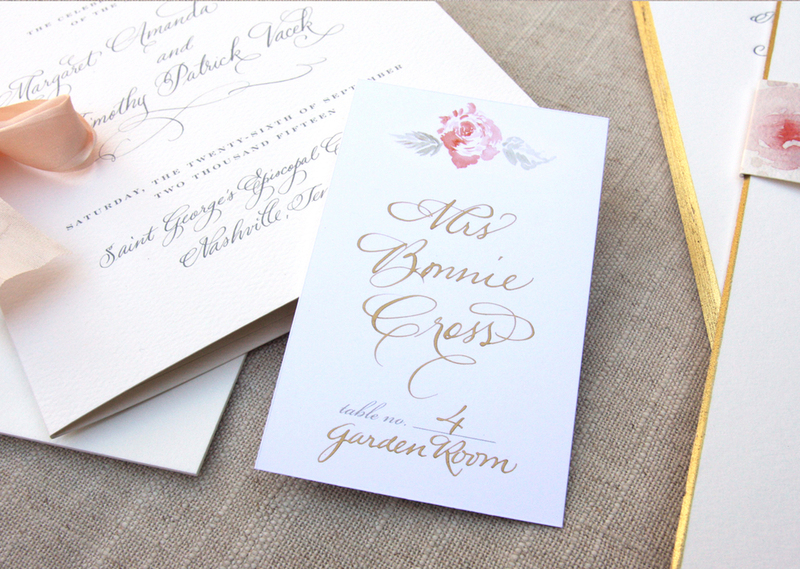 One of our favorite parts of this luxe invitation is the gorgeous gold beveled edge. No detail is too small!